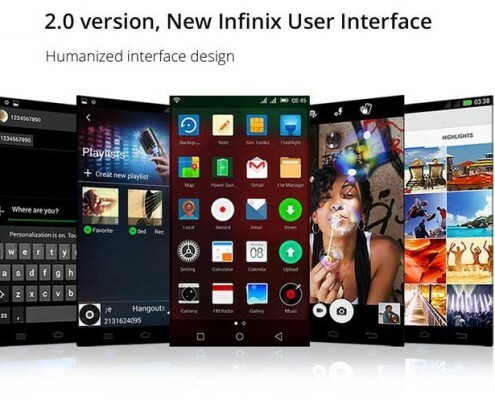 The Infix Zero 2 is a successor to the Infinix Zero which took the mobile phones market by storm. It is a smartphone with great features to suit your active lifestyle. Although, it’s not an iPhone 6 or a Samsung Galaxy 6, it’s got mouth-watering features at an affordable price. So, Why should you Get one? It is far slimmer that it’s predecessor and the sides have a smooth metal finishing. Once it touches your palms, you discover the sophistication, ultra flexibility and that tougher than steel feel. The kevlar fibre used for the build is said to be five times tougher and lighter than steel. 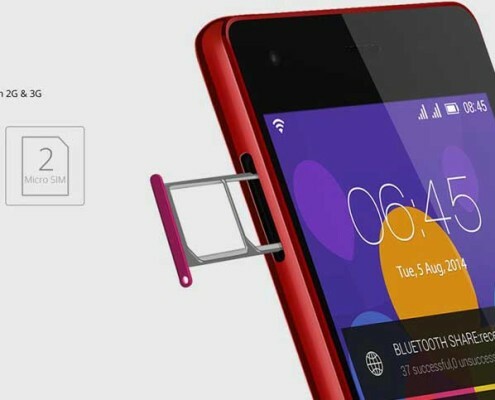 This phone is light to hold and weighs only 118 grams compared with Infinix Zero weighing about 150g. 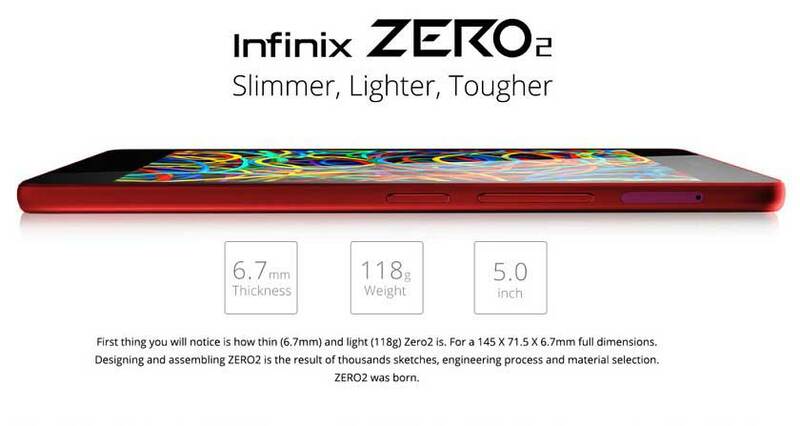 It has a thickness of 6.7mm compared to Infinix Zero with 7.9mm (30% slimmer). The front offers you an HD AMOLED screen with scratch resistant Gorilla glass 3, and front facing 5 MP camera that sits at the left side of the centered earpiece while the light sensor can be seen on the right. At the top, the micro USB port and 3.5 mm earphone jack are firmly situated. The left-hand side carries the Dual SIM tray while the right-hand side bears, the micro SD card slot, volume rockers and power button, in that order. The bottom side features the external microphone and speakers. This implies that you don’t have to worry about flat surfaces when playing your favourite songs. At 5.0 inch, it has a resolution of 720x1280p with a display density of 294ppi and a Super Amoled HD Display. Figures aside, the display is brilliant and the colour saturation is simply beautiful. It is now available in Nigeria. 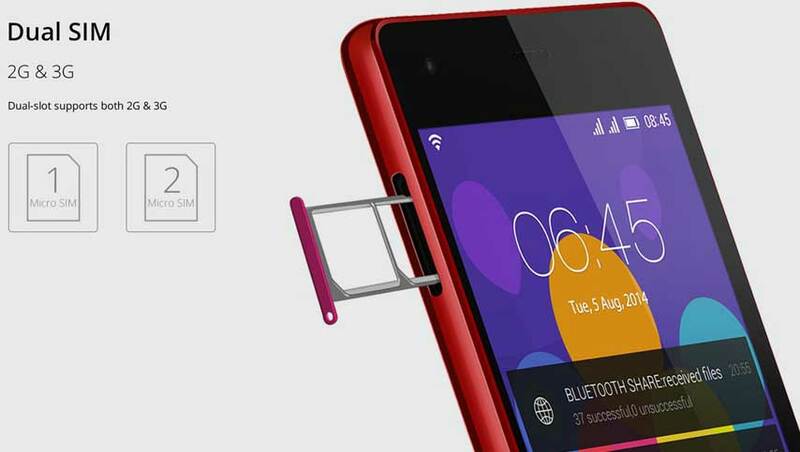 You can now buy the smartphone at leading online stores in the country. Price in Nigeria ranges from N32,900 to N42,000, depending on your location. It should run any application you install. It a very fast device and responses in a twinkle to every to touch. Navigation is very fluid and there’s no lagging when used to run heavy games. The 13 MP camera of the Zero 2 is super sharp. The sensor takes in lots of detail and even in dark areas, the flash does a fine job. One peculiar thing here, in low light conditions and with flash turned off, the camera still manages to come up with fine images. Music playback is great. The sound is loud and clear. The default music player has a nice interface with sound effects feature. Watching videos on this device is something to look forward to. It has an average battery life. With 2 SIM cards installed, steady 3G, 4 hours of hotspot, 2 hours movie playback we were able to churn out approximately 8 hours before the phone gave up. In simple English, if you’re a heavy phone user, you need a power bank by your side if you want this phone to last a whole day. You can, however, choose to activate the inbuilt power save mode to churn out extra hours. The phone lacks fast charging. Yes, we quite understand that this is not so much an issue but for a company which has produced an earlier device that supports fast charging, we expect it to be on newer devices. 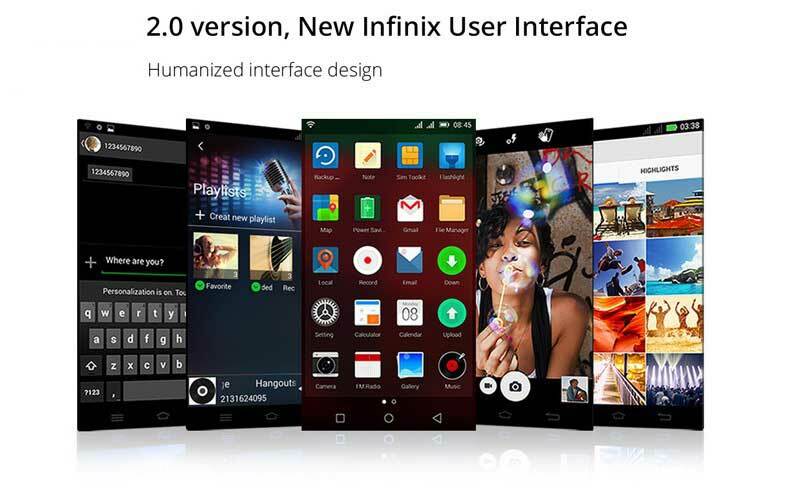 Verdict: The newest kid from Infinix Mobility has definitely caught our attention and as a matter of fact, it’s yet another impressive product from the brand. Although it lacks killer features like the fingerprint sensor and health kit, it still offers a great value for the money.